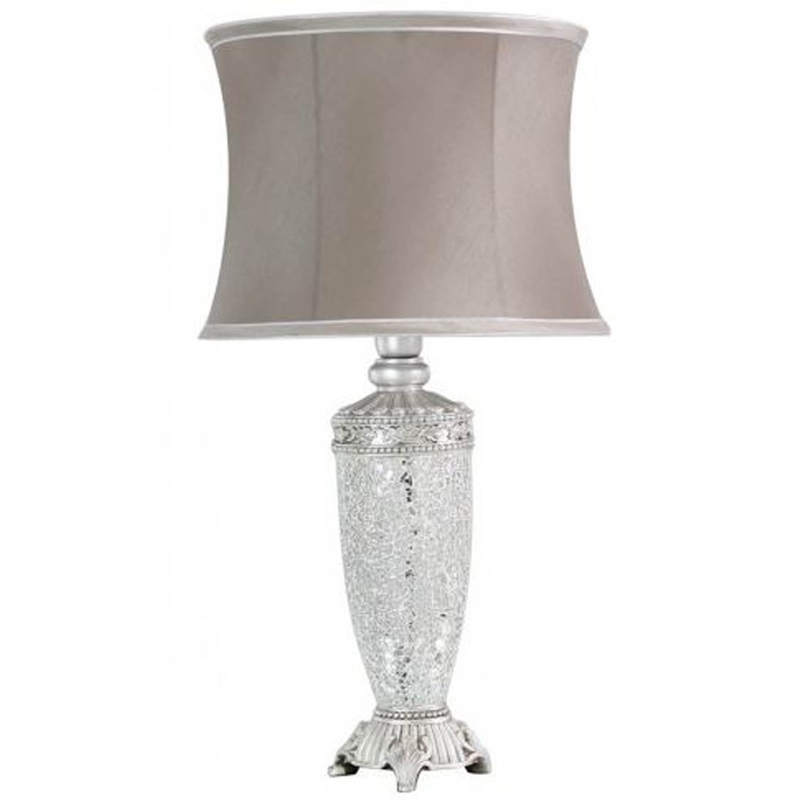 Featuring a silver Mosaic design for the main base and some beautiful intricate designs for the stand, this table lamp has also been complemented with a taupe trimmed shade. Designed as a table lamp, this beautiful lamp will be a great standout piece when it is featured on any style of table top. Tall and compact, this lamp is perfect if you're lacking a lot of table top space but are in need of some extra home lighting.